Patients who have had cavities in the past may have amalgam fillings in their mouths. With the increasing awareness of the dangers of mercury, Dr. William Virtue, of Virtue Dental Care, provides mercury safe dentistry to all patients. When it comes to safely removing mercury fillings, patients in the Charlotte area can rest assured knowing we make patient health and safety a priority. Patients who request it may have their amalgam fillings removed and replaced with a composite, filling. Composite fillings are aesthetically pleasing and are safer than amalgam fillings. Patients may request filling replacement for different reasons. Silver fillings change the appearance of the tooth and look unnatural. 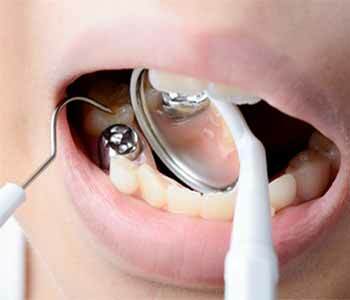 Amalgam fillings may emit mercury vapors. The tooth or current filling may be cracked or may be causing problems. An amalgam separator collects mercury waste. A filtration system is in place to remove vapors or particles. Protective gear, including gowns, gloves, and masks are worn by dental personnel. The patient chews charcoal before and after the procedure to absorb any mercury residue. The patient uses a dental dam and oxygen mask to avoid ingesting or inhaling mercury vapors. Dr. Virtue is SMART-certified and is a fellow of the IAOMT. In the past, he acted as president and secretary of the IAOMT. He is committed to maintaining mercury safe dental practices to ensure the health and safety of patients and staff. Call the office today to schedule an appointment with Dr. Virtue – (336) 679-2034.